Plumbing codes state grease interceptors shall be provided to prevent the discharge of fats, oils, grease, and other substances (solids) harmful to the public sewer, the private sewage system, or the sewage treatment plant or processes. This applies to several types of food service establishments such as restaurants, cafés, schools, colleges, universities, medical facilities, correctional facilities, malls, stadiums, arenas, convention centers, casinos, etc. sanitary sewer overflow (SSO). The EPA’s Report to Congress on sanitary sewer overflows identifies that grease is the most common cause of blockages. The National Pretreatment Program provides authority to state and local publicly owned treatment works to reduce or eliminate sanitary sewer overflows. One method of enforcement is effluent quality. 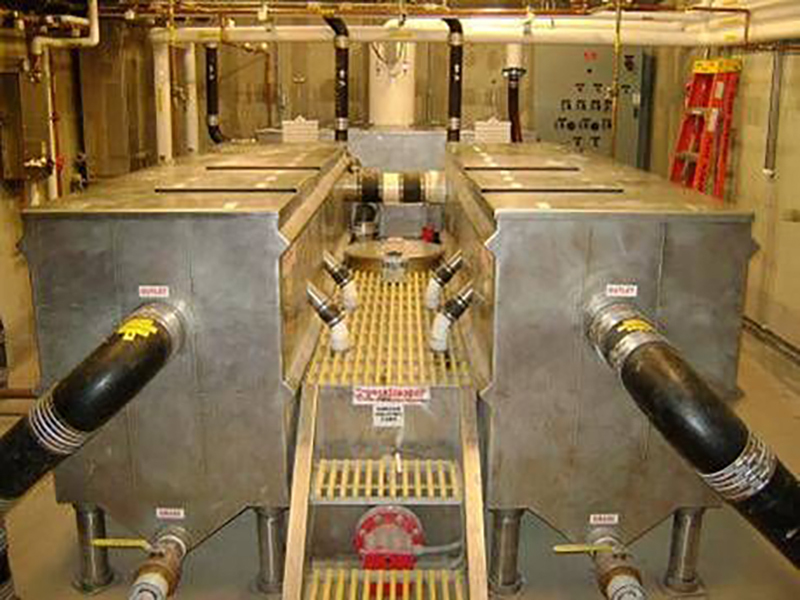 The EPA identifies an effluent quality of 100 mg/l as a common pretreatment limit. The type of grease interceptor varies based on the client’s needs, site restrictions, number and type of drainage fixtures, authority having jurisdiction, etc. interceptor skims grease into an adjacent grease storage container on a daily basis. Automatic grease interceptors are available in on-floor models or flush-in-floor. The other types of grease interceptors are passive grease interceptors.